I just update to last kodi version (on windows), and I can't find anymore the way to change manually movie information for movies. I use IMDB scrapper, but when it don't take right movie information, how can I change this? I have mainly all default configurations and skin. If you want to rescrape a movie in the library, then use the "Refresh" button in the Movie Information page as shown in the image. 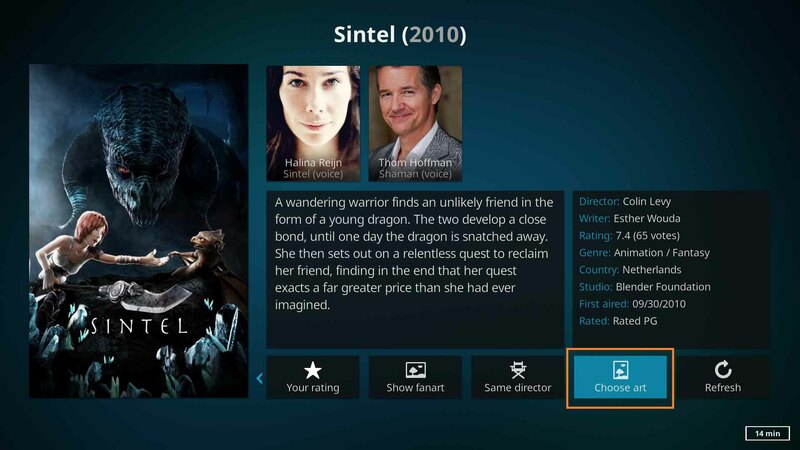 It will allow you to choose from a list of similar movies or type in the title you require. Now I found "choose art" and "refresh" button. It works! The last version is currently 17.5 for Intel machines. You can verify that in the Settings/System Information page. but mostly for remotes and keyboards (which work faster than with a mouse, btw). I use a Bluetooth mouse, because it's the more practical way for me to have control on my computer (with kodi), when I'm on my sofa. I'm not sure I'm the only one in this case. Great to hear it solved your issue.